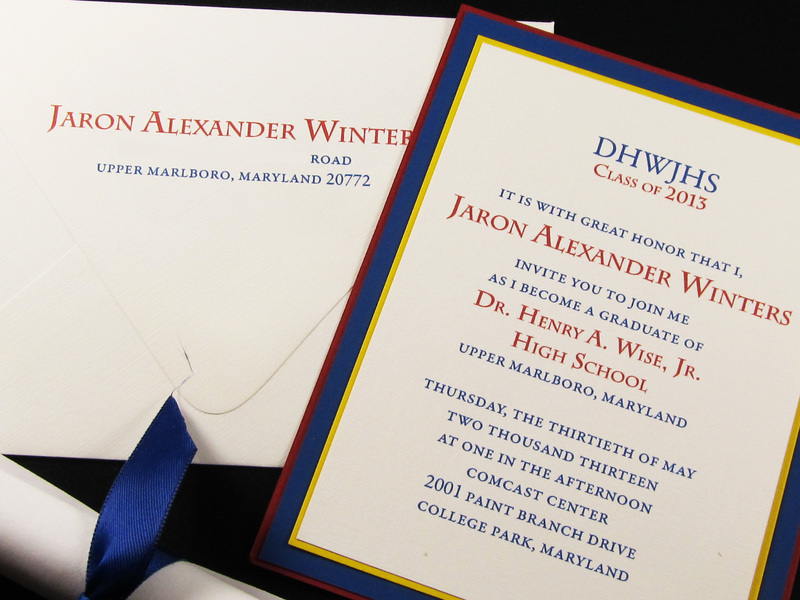 Custom Invitations and Announcements Studio 73B, located in Charlottesville, Virginia, designs custom invitations and announcements for a variety of functions and occasions - including weddings, parties, graduations, baby showers, and other formal and informal events. Let me add that personal touch! I have been a very busy bee! Boy, oh boy! It's been a crazy last few months! I finished my mentorship with great mentor, Melissa McDowell of House of Papier and I filled several orders back to back. Just when I shipped one out another one was coming in. I'm still in the learning process, but I enjoy having my own business. My only regret is that I wish I had not waited so long to make it happen. Oh well, maybe me starting my business at this point in my life was the right time for me. Multipage Program for my childhood church complete with satin ribbon bookmark. and yellow, with white floral print cardstocks. Vanessa and Justin's wedding invitation. 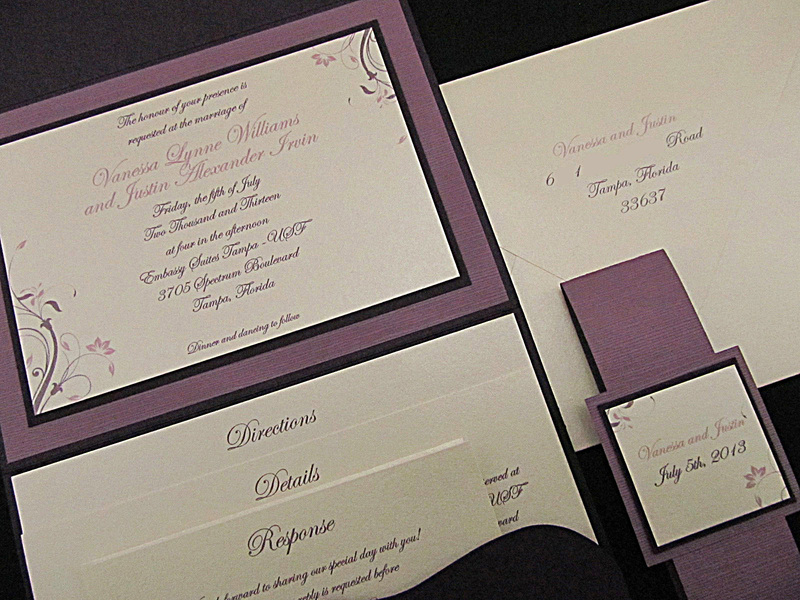 Pocket invitation in eggplant, lavender and quartz. 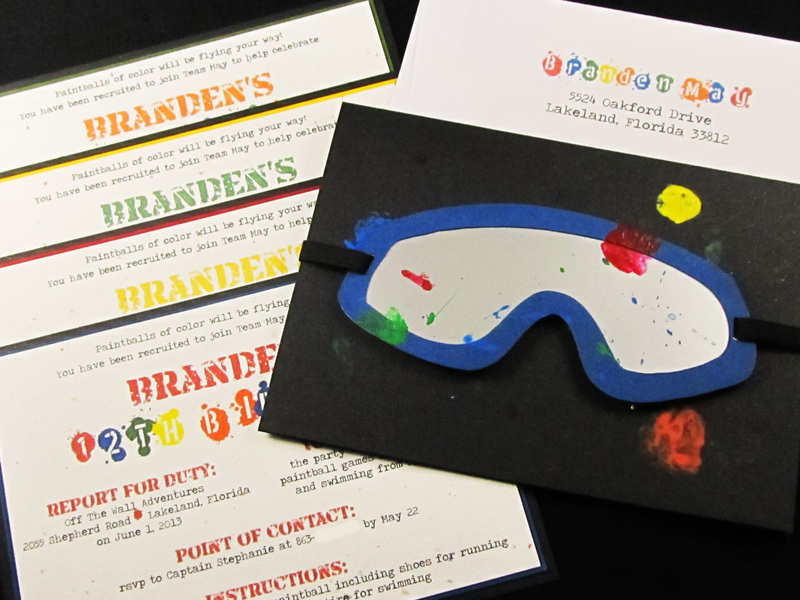 Complete with invitation, inserts and belly band. 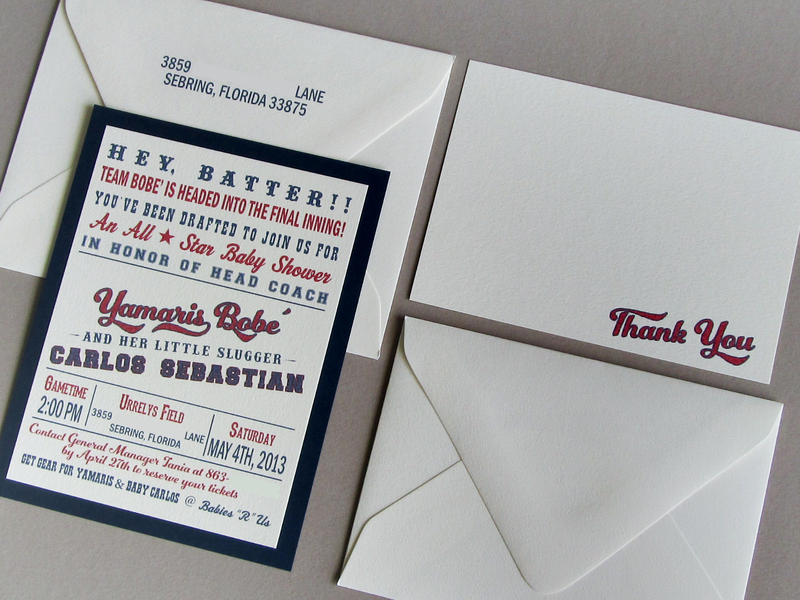 Yamaris's baseball themed baby shower. 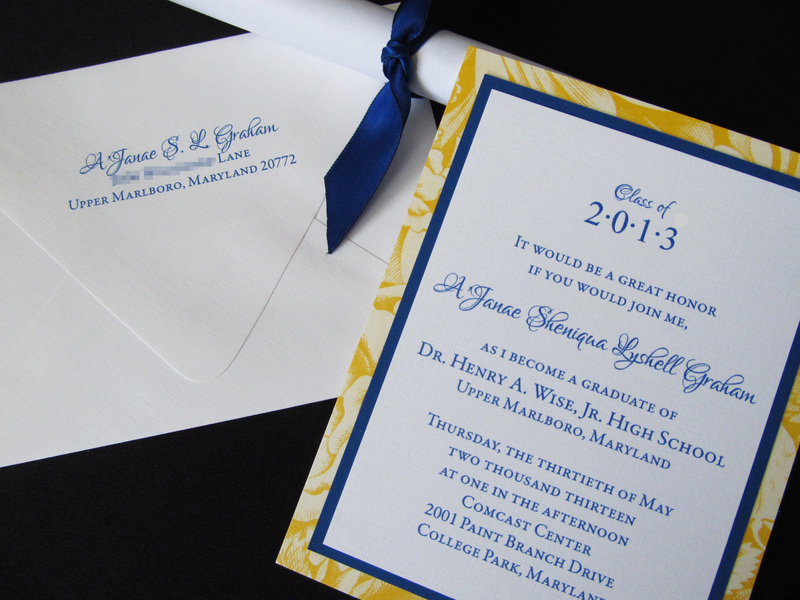 Ivory invite mounted on heavy navy cardstock. Set completed with matching thank you notes and envelopes. and real miniature seashells and starfish! with a pair of matching paintball goggles. 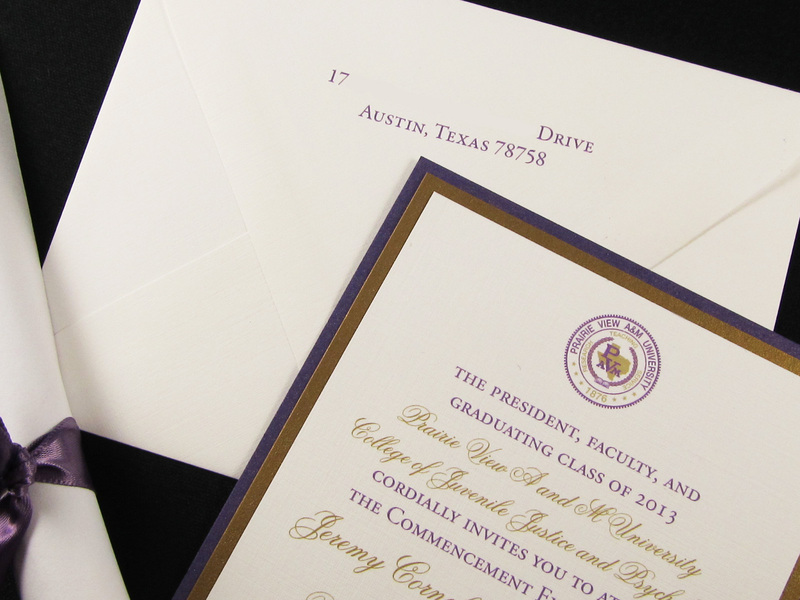 and mounted on purple and antique gold cardstocks. and mounted on red, cobalt blue and yellow cardstocks. 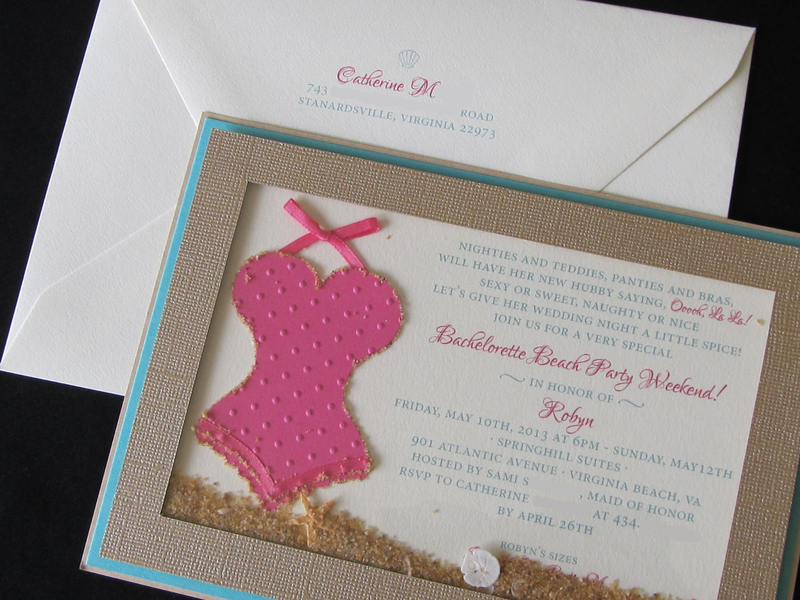 I have so many ideas for new invitations that I can't wait to put to paper and create the samples. So, check back here for updates or check out my facebook page at www.facebook.com/studio73b for sample and order photographs. If you see something here or on my facebook page that you would like to order, please contact me at info@studio73b.com. Studio 73B. Ethereal theme. Powered by Blogger.